Spitalfields Life Contributing Artist & Cartographer Extraordinaire, Adam Dant has been working through the night in the former Huguenot fish & chip shop which serves as his studio to conjure this extraordinary vision of William Shakespeare’s Shordiche, collating the scraps of information and myth about the landscape of London’s lost theatreland of five hundred years ago. 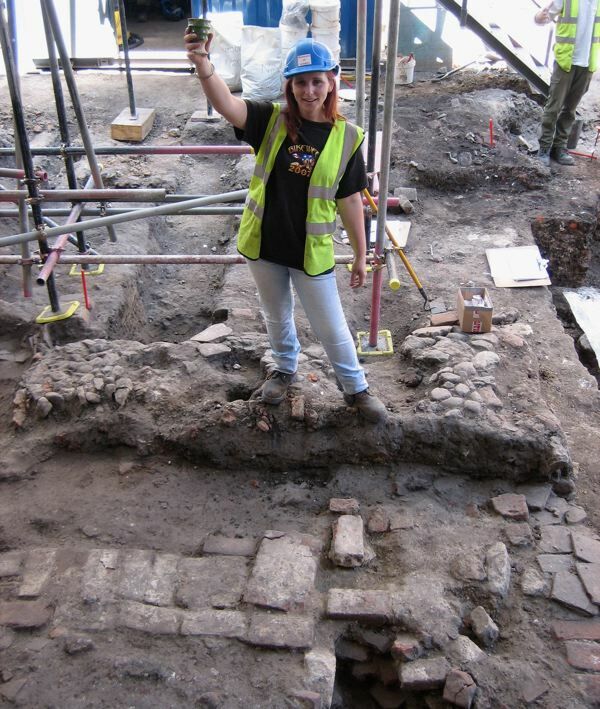 Here Shakespeare arrived as a young actor in 1585, treading the boards at London’s earliest custom-built theatre, The Theatre at New Inn Yard where subsequently his first ventures as a playwright saw the light of day. 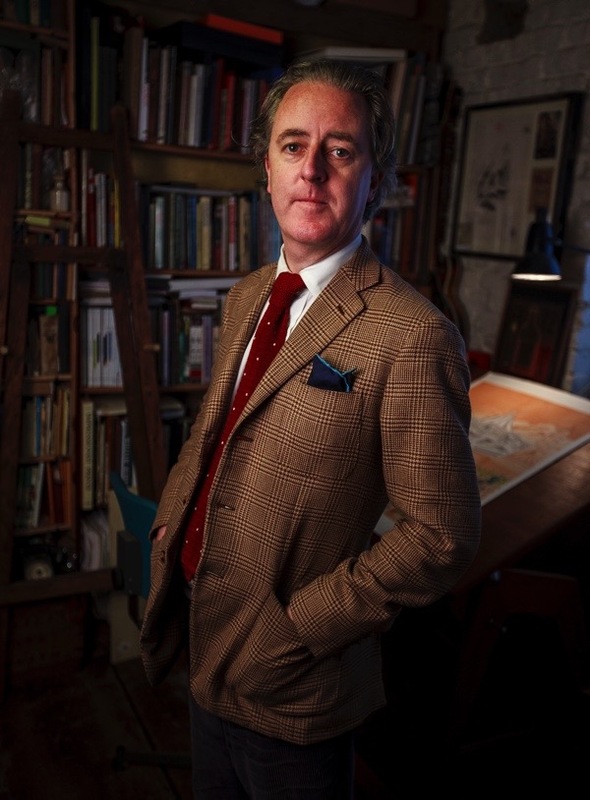 Adam Dant — a genius as ever! 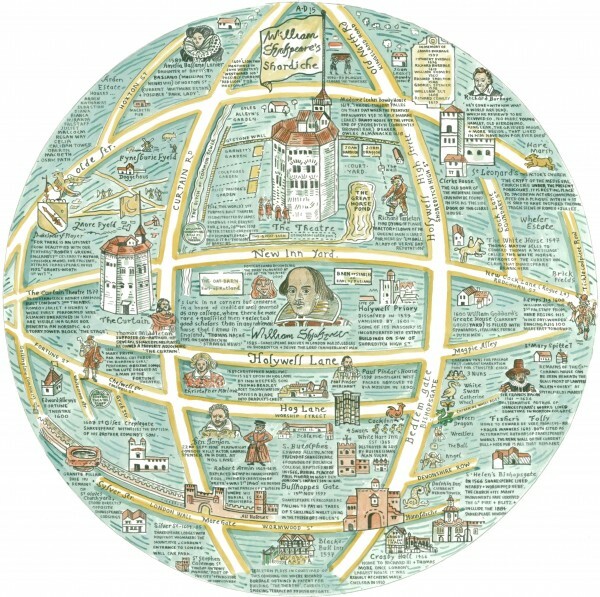 I always enjoy seeing Adam’s maps, and your Staffordshire figure of Shakespeare is lovely, is it a fairing? Truly gorgeous – but how much are they asking? And will there be a cheaper unlimited print run later?